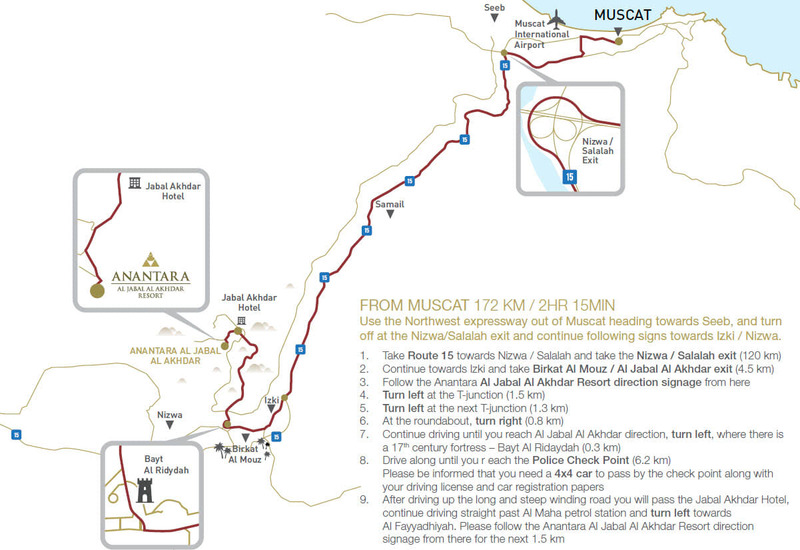 Our mountain resort is located near Nizwa, part of the Hajar Mountains of northeast Oman. Enjoy elevated views, Omani hospitality, and the luxury for which Anantara is known at our Nizwa hotel. The resort is a two-hour drive from Muscat, and five hours from the UAE. As per government regulations, a 4x4 is required to access the mountain. A driver's license and car registration documents must also be presented at the checkpoint.